To be completely honest, no song that I’ve ever mixed has ever been finished. The reason I say that is because I’m without a doubt my harshest critic. The client may be ecstatic with the final product, but I may be left wanting. I think all of us strive to get the best out of the time that we spend in front of the console, both in our efforts to make great music, and in our pursuit of the craft. I’ve said it before, and I’m sure I’ll say it again and again, mixing is as much art as it is science. The science side of mixing is knowing how to use the tools that are sitting in front of you. It’s knowing how to use an EQ properly or a compressor or how to build a stereo image. But, what about the artistic side? How does an artist know when the work is finished? As a musician and songwriter I can tell you that when I’m composing, I know a song is finished when I think it has all the elements that I originally intended. For instance, do I like the melody? Do I like where the hook is going? If I were listening to this on the radio, would I change the station? If I can answer all these questions honestly and I’m happy with the answers, then the song is finished. When it comes to mixing I tend to take the same sort of approach. I’ll ask myself, “Have I fulfilled the requirements that I set forth for myself before I began this mix? Do the drums sound good? Does the music have excitement and dynamics? Does the vocal sit well? Was I able to extract the essence of what the song is trying to say to me?” If it’s my music and I’m happy with the answers to all these questions, then the song is finished. If I’m mixing for a client, then we must make sure that they’re happy too. 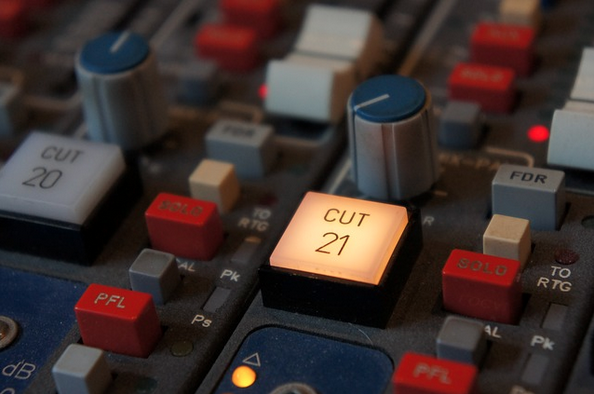 To answer the question, “How long should mixdown take?” really depends on you. I like mixing relatively quickly but I like to take lots of breaks. Between ear fatigue and my propensity to overthink the mix, I find that stepping away from the desk frequently for short breaks keeps me focused in the right direction. Maybe I’ll step outside for a few minutes and soak up some sunshine. Maybe I need to flip the laundry. Maybe it’s time to feed the cats. Anything to temporarily distract me from the mix seems to help me concentrate and have more clarity once I sit back down in front of the computer screen. All in all, I will typically knock out a mix in a couple of hours (not including breaks). I try to set this as a limit for myself so that I don’t begin to second-guess the decisions that I’ve already made. Finally, I’ll give the song a listen the next day with fresh ears. If I don’t hear something that jumps out at me and needs immediate attention, I’ll chalk it up as done and move on to the next song. My best advice is to listen closely to your raw tracks. Make yourself a quick list of 3 or 4 goals that you have for that particular song. Try to hit the mark on those goals as quickly as you can so as not to start second-guessing yourself. I like to do the next day thing just to make sure, but that’s just me second-guessing myself. It’s so easy to get bogged down or discouraged when things aren’t going as smoothly as you hoped. This is another reason why I take frequent breaks. It helps me clear my head when I have a challenging mix. Ultimately, we all have to find our own stride. How you work is how you work. Just don’t forget to enjoy the music during the process. Previous Post Compression, Limiting, dynamic range and the K14 standard. Next Post I have 34 tracks recorded. What now? How do I start a mix?